There’ll be female athletes in the Saudi Arabian squad for the London 2012 Games after the country gave in to pressure from the International Olympic Committee and human rights organizations. ­"The kingdom of Saudi Arabia is looking forward to full participation [in the Olympics],” the statement by the Saudi Embassy in London said. "The Saudi Olympic Committee will oversee participation of female competitors who qualify." But, with just over a month left before the Games, only one female athlete – show-jumper Dalma Rushdi Malhas – is expected to be able to actually make the country’s team. 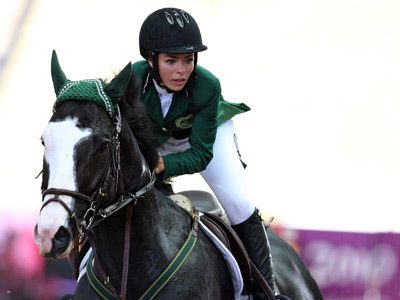 In 2010, the 20-year-old became the first Saudi woman to compete in the Youth Olympics, where she cruised to a bronze medal. There’ll be a special uniform designed for Gulf state's women, who’ll be able to make the Games. It’ll consist of a loose-fitting garments and the so-called “sports hijab”, which is a scarf, covering the hair, but not the woman’s face. Earlier, human rights organizations requested the IOC exclude Saudi Arabia from the Games if female athletes aren’t be allowed to take part. 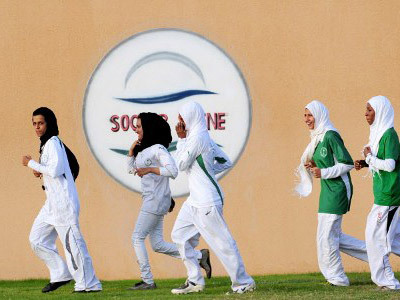 London 2012 will be the first Olympics where Saudi women will compete. If the ban wasn’t lifted, Saudi Arabia would’ve become the only country at London 2012 without women on their line up.